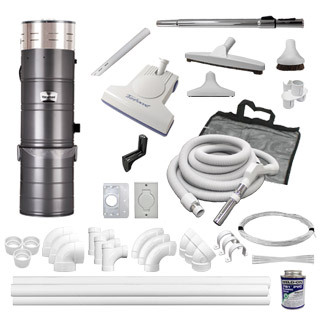 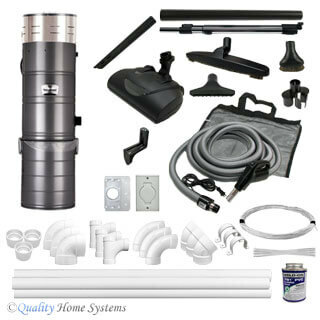 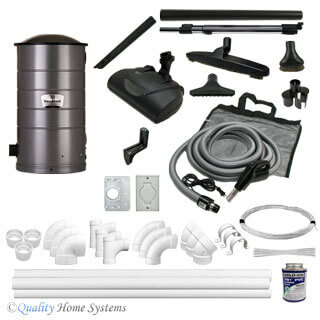 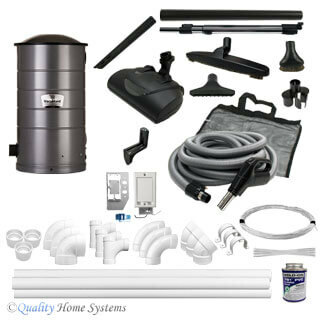 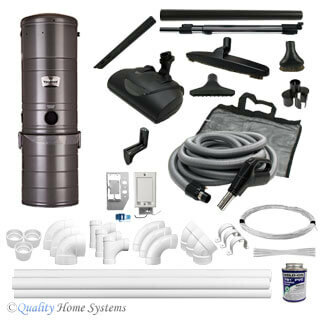 Our Complete Central Vacuum Kits include a power unit; accessory kit with hose, power head and attachments; installation materials including inlets, elbows, pipe, glue, wire and other items; and instructions. 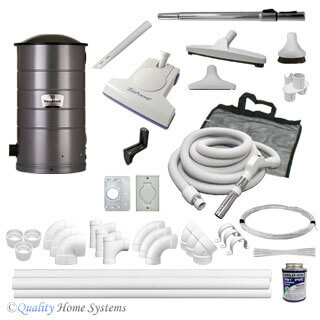 Select from trusted brands including Nutone, Electrolux, Vacu-Maid, Honeywell, Hayden, Valet and DustCare. 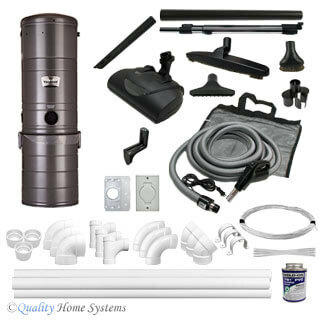 Use our filtering utility on the left side of the page to narrow down your choices based on your conditions, house size, filtration preference, power head type and brand. 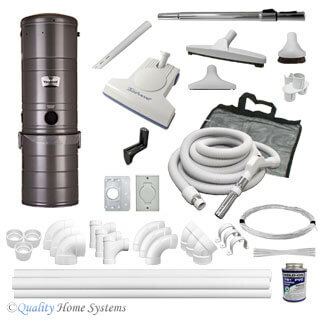 If you can’t find a prepackaged kit that meets your needs, try our CentralVacuum System Kit Builder, or contact our friendly experts and have them develop a customized solution for you.